They say there's no place like home for the holidays, and many can relate. Celebrating the ones you love, creating new memories and cherishing old ones just isn't the same from a distance. The holiday season can be tricky, however, when someone is living with a debilitating disease or experiencing an illness. After all, Christmas, Hanukkah and New Year's Day are smack dab in the middle of flu season, so catching a bug during the holidays isn't necessarily uncommon. But no one wants to travel a significant distance to receive care or treatment when Santa Claus is coming to town. Not only does telemedicine give patients access to their doctors from home for quick consultations, it also allows patients to go to local clinics and facilities to receive diagnostic clinical care from "connected" specialists. Leveraging telemedicine technology to service patients in their home communities helps ensure they're home for the holidays. Receiving care close to home is important for patients and their families, especially around the holidays. 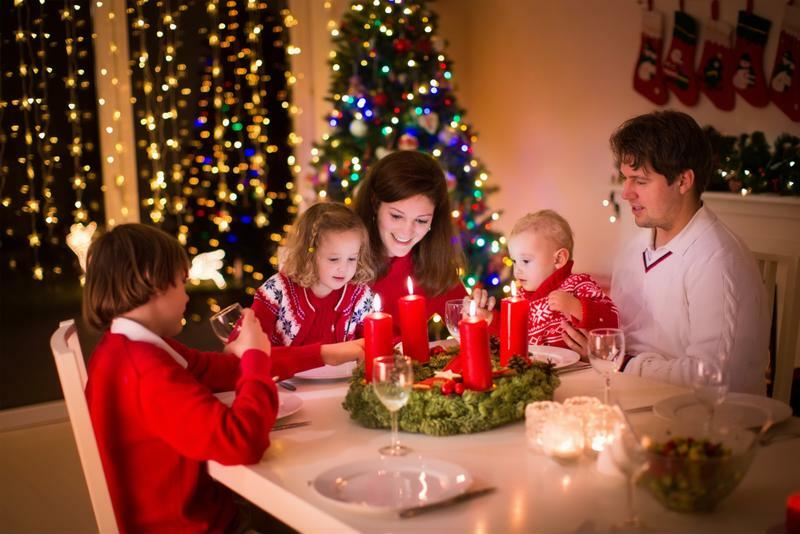 For those living with a debilitating disease - Coping with a chronic disease like diabetes or high blood pressure can be especially trying during the holiday season when decadent feasts are involved. Patients who likely just need a quick check-up or follow-up appointment can easily do so with a telemedicine appointment. Technologies such as video conferencing and digital medical devices allow remote providers and specialists to do clinical examinations on patients, as if they were there in person. Time sensitive diagnosis - Stroke patients are in a battle against time. Telemedicine has proven time and time again to allow a remote neurologist to evaluate a patient via video conferencing and image sharing technology and then quickly and efficiently determine if the patient has suffered from a stroke. Local healthcare professionals can then administer tPA, saving the patient the time and risk factor of traveling to a more distant healthcare facility. For those battling mental illness or drug addiction - The holidays are certainly times when many people are lonely and symptoms of depression can intensify. The ability to access the timely support in their local community can alleviate the suffering. Telemedicine puts the help they need just a quick connection away by providing patients with access to a specialist. Furthermore, some major health care providers might have limited availability during major holidays. Telemedicine ensures patients can connect with a specialist 365 days of the year at any time. Just like patients don't want to travel far from home during the holiday season, you don't want to turn them away because you are not able to give them the specialty care they so desperately need. By integrating telemedicine solutions into your organization's service offerings, you can provide the assistance patients need while enhancing care coordination across the board. Giving patients the option to connect with doctors and specialists to receive treatment doesn't only ensure their overall health and well-being during a time of need; it also enables them to stay in close quarters to home during the holidays. Give the gift of optimal care access, and keep patients with their families during the holidays and beyond. For more information on telehealth and how you can implement telehealth into your facility, contact AMD Global Telemedicine today.